Home » Tourist » Theme Park Maps! It’s a lovely sunny day in London today, with temperatures up to the mid-20s, and what better way to spend a day like this (assuming you are not working!) than in one of London’s theme parks. Not only are they fun places to be when the sun is shining, but your ticket tends to come with a quirky “gate map” which is a world a way from the style of most of the maps featured on Mapping London thus far. 1. 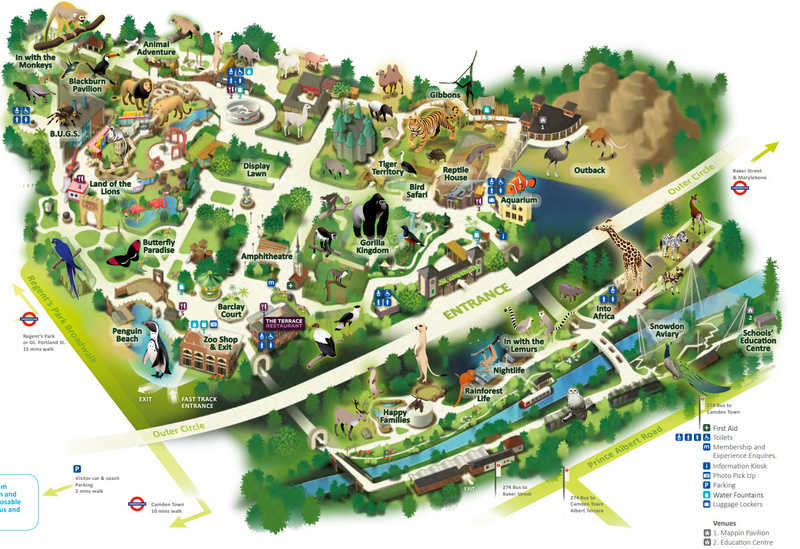 Technically we only have one theme park in London – Chessington World of Adventures. 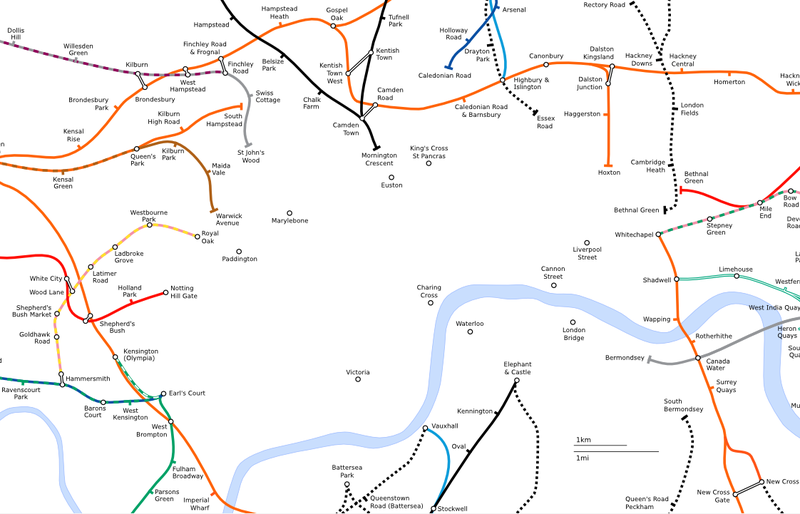 Thankfully, it delivers in style on the map front, with a map that definitely makes you think more “tropical jungle” and less “tube lines”. The map was created by illustrator Rod Hunt. Update – here’s the 2017 version, which is a little more restrained but still fun. 2. Thorpe Park is second only to Alton Towers (way up north) in terms of the number of rollercoasters and rides, it’s not quite in London but is within the M25 so that counts. 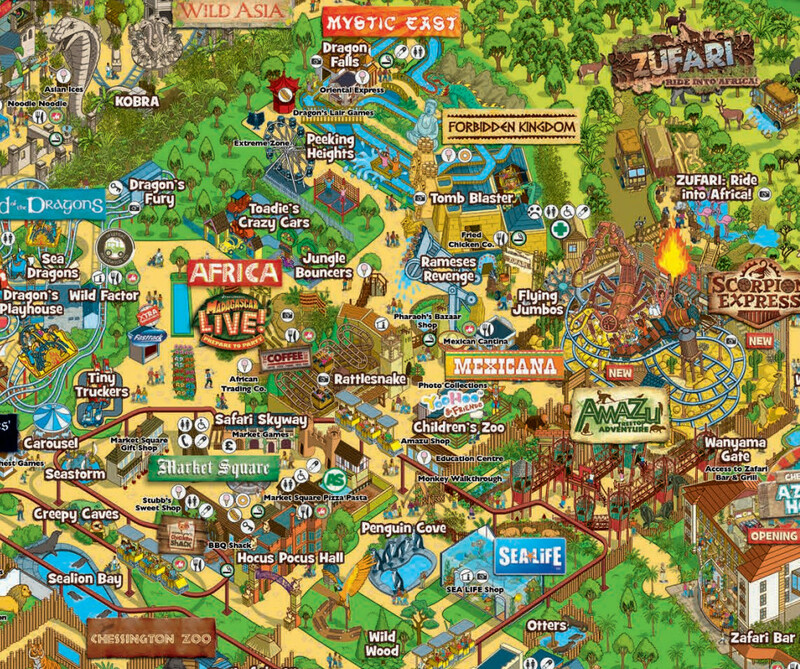 For 2014, Thorpe Park has scrapped its traditional “magical wonderland” style gate map, like is still seen at Chessington. 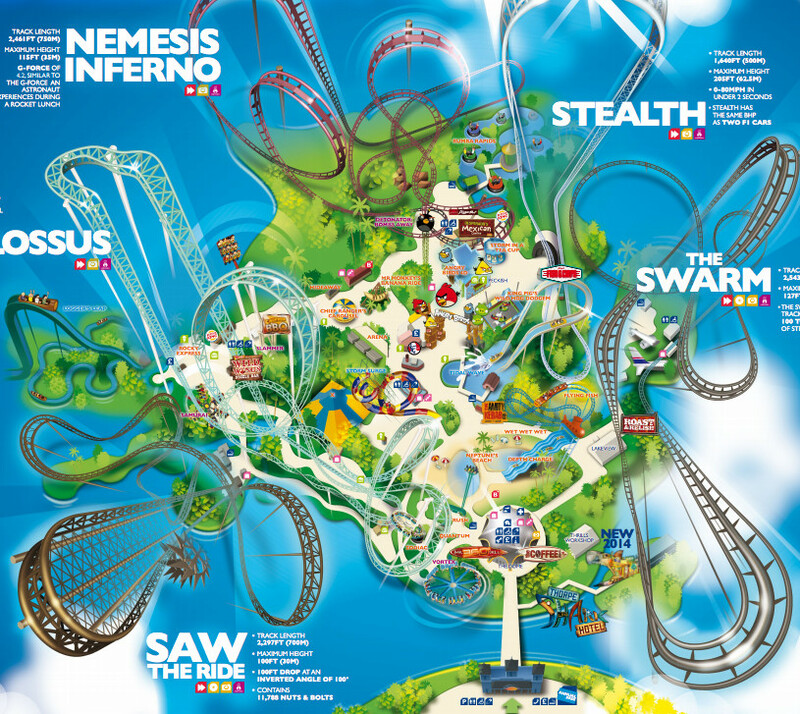 Instead, they’ve realised that roller coasters are what Thorpe Park is all about, and produced a map that dramatically focuses on them. The map includes stats on each coaster, such as track length. This map was created by Visual Maps in Denmark. Here’s the 2017 one which is darker but otherwise very similar. 3. 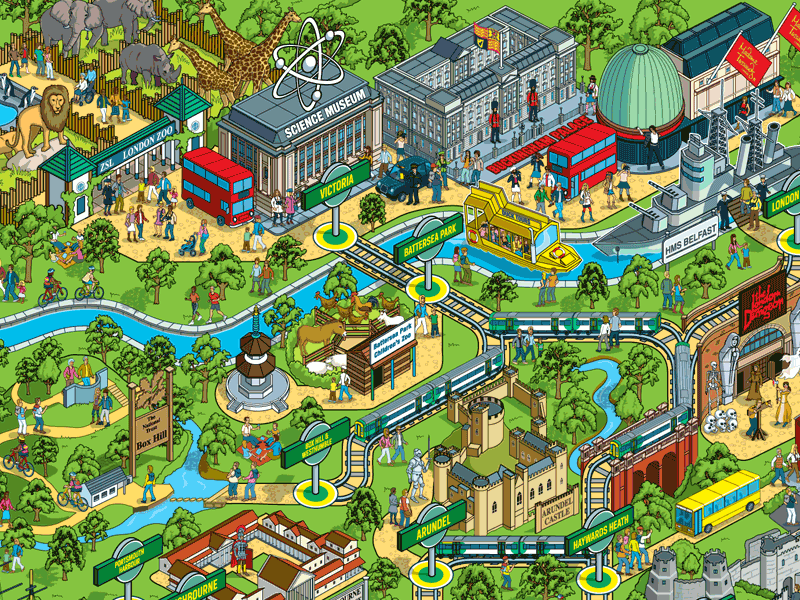 It’s not a theme park, rather it’s a train line… from London to Brighton. 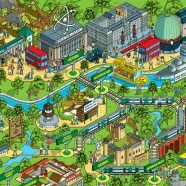 Southern Railway commissioned this isometric theme park style map to promote recreational trips on their line down to the coast. It shows the line as anything but straight – in fact it’s quite difficult to follow. The intermediate stops on the journey south never looked so interesting though. 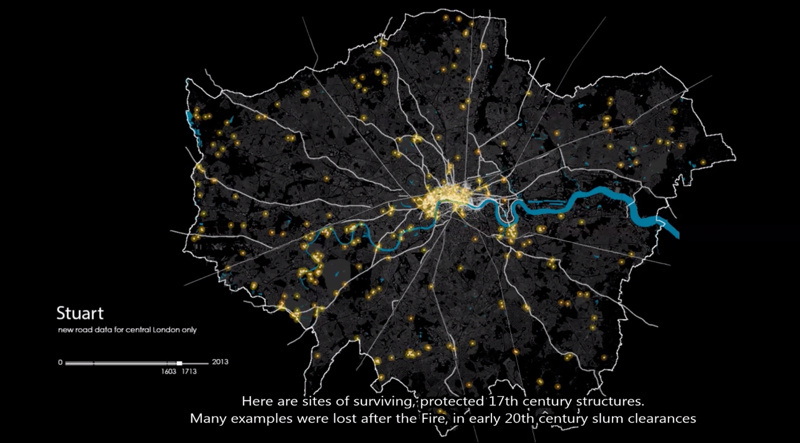 There’s plenty of quirks in London itself. We particularly like the dinosaurs which are for some reason guarding the O2 Arena. 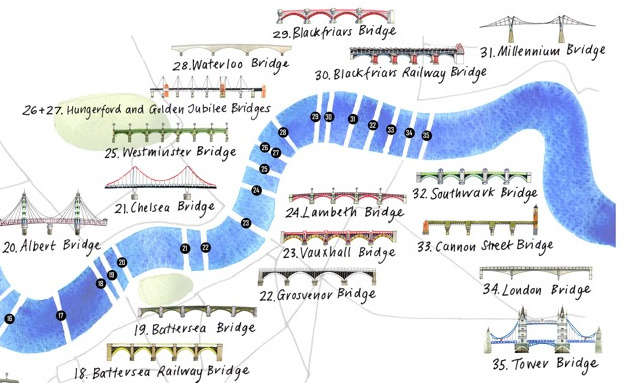 This is another great map by illustrator Rod Hunt. 4. 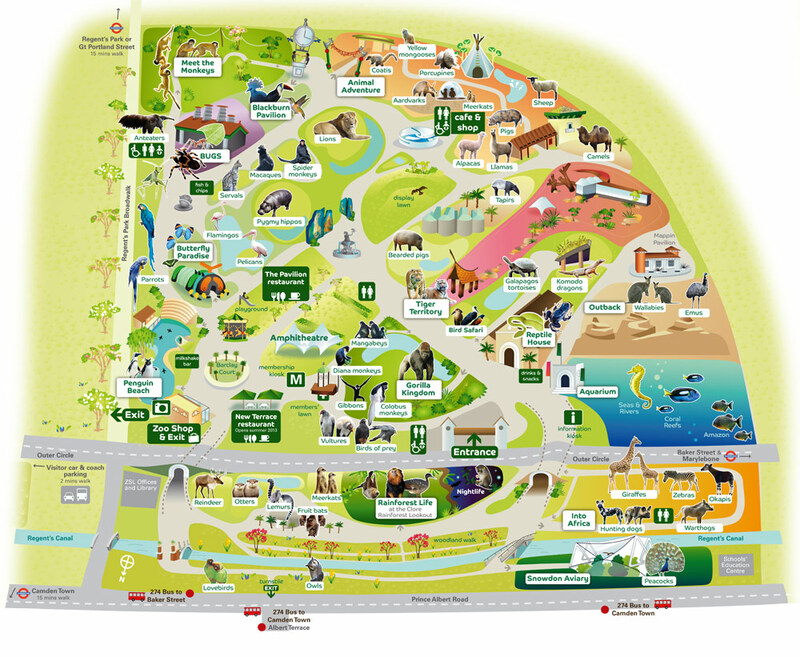 Finally, this isn’t a theme park either, but it is in central London and, although we’ve not made it in yet ourselves, we do like the map for London Zoo. This is the 2017 edition, which is a noticeable improvement on the rather tired 2014 one. Nice fun posts, showing some fun maps.